Every year, EA Sports rolls out the new FIFA Football (Soccer) title like clockwork, and when it comes to World Cup season, we’re usually treated to a special release to accompany the sport’s most coveted event. 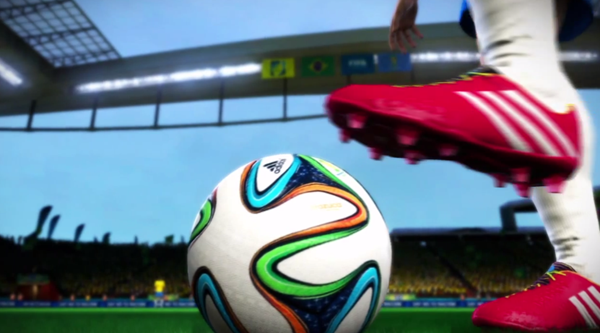 Every World Cup gets its own official FIFA title, but although this trend will continue for the summer’s show piece in Brazil, FIFA World Cup 2014 Brazil will not be heading to either the Xbox One or the PlayStation 4. Getting games ready for newer, more powerful hardware is no easy task for a developer, which goes a long way to explaining why, for example, Rockstar’s record-breaking release of Grand Theft Auto 5 wasn’t also made readily available for the two strongest and most recently released consoles on the market. With this in mind, it seems as though EA has decided to omit the PlayStation 4 and Xbox One from the line-up of platforms that will see 2014 FIFA World Cup Brazil, and rather focus its attention on making the experience for Xbox 360 and PlayStation 3 as fluid and high-tempo as we expect of the actual tournament. One of the title’s lead producers spoke to Engadget on the matter, and noted that EA Sports wanted to ensure that the game would “reach as many people as possible,” and that the best way to achieve this was to make it the “best game yet” for the previous-gen machines. While purist will be surely a little disheartened that 2014 FIFA World Cup Brazil won’t be releasing for the latest and greatest, it does make a great deal of sense for EA Sports to hold off, at least this time around. After all, while both the Xbox One and PlayStation 4 have shifted a few million units apiece, it must also be remembered that both the Xbox 360 and PS3 have each surpassed the hundred million mark, and thus, with time of the essence, it’s logical that the consoles with the larger audience should be favored. And hey, while 2014 FIFA World Cup Brazil mightn’t wind up being the game it perhaps could have been had EA Sports managed to keep its house in order, FIFA 2015 will make its usual début in October for all of the major consoles – old and new – so once the World Cup has finally drawn its conclusion, football fans will still have much to look forward to before 2014 draws to a close. 2014 FIFA World Cup Brazil will drop in April for $60, and we’ll be sure to slip you a reminder on its specific date of release, so stay tuned!